Our mission at SCORE is to foster vibrant small business communities through mentoring and education. Our vision is that every person has the support necessary to thrive as a small business owner. Our clients' success is our success. SCORE, the nation's largest network of free, confidential expert business mentors, is a nonprofit association dedicated to the formation, growth and success of small business nationwide. More than 10,000 working and retired volunteers in over 300 chapters are committed to helping their communities thrive by providing local small business owners with valuable guidance and insights for success. SCORE volunteers serve business owners for the life of their business at all stages of the business life cycle: pre-start, start-up, in business and closing. 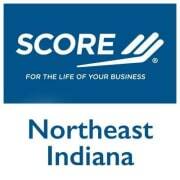 SCORE Northeast Indiana, formerly Fort Wayne SCORE , has about 50 volunteers serving business owners and entrepreneurs in northeastern Indiana with the main office in Fort Wayne and satellites in Warsaw, Kendallville and Angola. One-to-one mentoring is the essence of what SCORE is. Mentoring may be face-to-face, via email or by phone. In addition to mentoring, our chapter provides free local educational workshops designed to educate entrepreneurs on all aspects of successful small business ownership. Additional resources including numerous free webinars are available through score.org. Would you recommend SCORE Northeast Indiana?